Photo collages are useful for sharing multiple images in one post. With new advancements in smartphone technology and cameras over the recent years, it’s becoming even more appealing to show off your photographs on Instagram, Facebook and Pinterest. Putting together a photo collage is easy, fun to do and the end result is well worth it. We’ve put together a list of 12 photo collage apps compatible for photographers and photo enthusiasts at every level of expertise, plus 3 collage apps you can use exclusively on your desktop. Almost all of these fantastic apps are available for both iOS and Android, so there are plenty of options no matter what device you’re using. Before showing off your collage-making skills, gather the perfect photos from your last photography project. You won’t want to wait to share your collage creations with friends and family on Facebook or create a family holiday card to send to your loved ones. Features: With hundreds of unique layouts, users can make a collage for every occasion. Crop, resize and rotate your photos—don’t forget to add fun text and stickers for a personalized touch. Touch up any flaws in your photos as well. For added convenience, store uploaded photos to the cloud in order to edit your collage for multiple locations on different devices. This is especially useful if you’re collecting images over time, like baby photos to show your child’s first year. Ribbet will also save your editing history, so no need to worry about losing your progress on your collage! Android compatibility coming soon. Features: No need to be intimidated by the Adobe name! This app is easier to pick up compared to other Adobe applications and makes your collages easily shareable via social media and email. Use professionally designed fonts and themes to create graphics, web pages and video stories. Plus, your projects automatically sync across the web and the iOS app (Android compatibility coming soon). Features: The most appealing feature of this app is being able to find the perfect collage format quickly and easily since they are categorized by theme. Users can download their designs in various formats as well, from PDFs to JPGs to PNGs. Another perk with Canva is that users have the option to upload their own photos or purchase premium stock images directly through Canva. Features: BeFunky is perfect for users who are looking for a quick fix to the their collage needs. This app will automatically make a collage for you, just choose your photos and voilà! Users can also customize their own collages using many template options. This app allows you to upload multiple photos at a time and supports full screen editing. Also, try using BeFunky’s free clipart images. Features: piZap is ideal for users who are social media savvy. Create memes using their stock images and hundreds of fonts. Edit photos directly from your social media uploads and use piZap’s Facebook banner templates. Features: This app is perfect for users looking to create more professional-looking collages. Import multiple images at once and then choose where to place them after. Fotor includes HDR photography for enhancing image quality and elevating the aesthetic of your collage. Search through the various categories of collages and choose to add stickers, fun fonts and filters to tie your creation together. 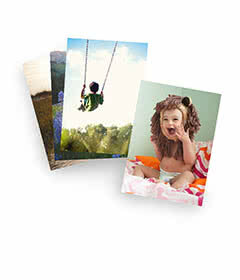 Features: Photovisi is perfect for turning your beautiful collage into a fun invitation or greeting card. Make social media banners and covers to elevate your online profile and easily download them to share with friends and family. Features: Google Photos is a very simple platform that allows users to experiment with six collage types. Select up to nine pictures to insert into a collage and add filters for a finishing touch. Features: Users can import their photos to PicMonkey from their computer, Facebook, OneDrive, Dropbox and Flickr. From there, adjust the zoom and placement of filters and add text and touch-ups. Print your creation directly from PicMonkey and show it off to family and friends. Features: With over 60 templates, users will have so much creative freedom with PicCollage. Add photos, GIFs and videos and easily clip photos with your finger. The face detection feature creates a new level of fun by adding hats and accessories to the people in your collage. Share your funky creation on social media, SMS or email. Features: This app is unique in that it is community created and includes fun ‘challenges’ to inspire its users. Take photos within the app for added convenience and choose from over three million stickers to spice up your design. Explore the apps customizable filters and text options as well. You can download this app for iPhone or Android devices too! Features: This app allows you to easily select and rearrange images while also controlling the image sizes. Use the ‘Faces’ tab to find your friends in your Camera Roll and add some pizazz with the built-in photo booth feature. Features: Zygomatic is compatible with Mac, Android, Windows and iOS and allows users to use keyboard shortcuts for editing, making this app extremely convenient. Make freeform collages or use one of their premade templates. Zygomatic also lets users edit objects simultaneously, so you’ll have a beautiful collage made in a jiffy! Features: Kizoa’s most enticing feature is the ability to add animation to your collages. Choose to incorporate photos, GIFs and videos for an added level of excitement. Finish off your design with text and stickers to tie it all together. Features: For the user who wants variety, choose from over 800 unique templates on FotoJet. Layouts are categorized by theme for users to easily find inspiration for their collage. Utilize this app’s powerful editing tools to create social media banners, headers, cards and posters. Making a beautiful, eye-catching collage doesn’t have to be complicated and time consuming. Explore our photo collage app suggestions and start making creative designs to share with family and friends! Or turn your collage creations into a personalized photo book to display all of your beautiful memories.